A subject we cover on the Cytech Technical Two course is the removal and installation of sealed cartridge bearings and, after being contacted by a mechanic who was unsure of which way round a sealed bearing should be installed, I felt that this was something I’d like to delve deeper into to offer clarification when it comes to dealing with sealed cartridge bearings. So, let’s start with the basics. What’s inside a sealed cartridge bearing? More specifically how is it constructed? 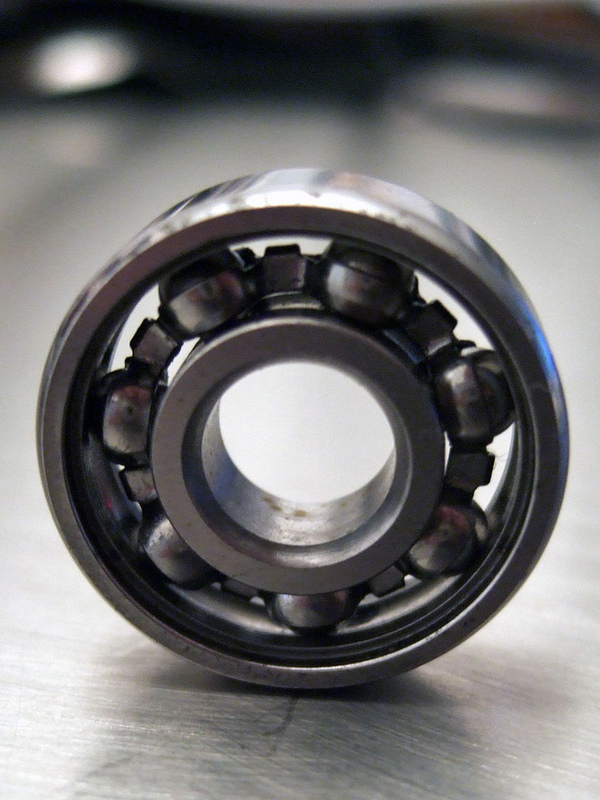 A sealed bearing consists of an outer race (the visible external shell of the SCB) and an inner race which sandwich between ball bearings, which can be either loose or held in cage retainers, depending on the SCB type. Protecting the bearings from the environment and sometimes acting as grease retainers are the seals themselves, which again can come in a variety of different materials and types. The ball bearings are graded as to how far from perfectly round they are. The grading marks are 5, 10 or 25, with 5 the roundest and five times away from being measured as a perfect sphere (measured as 5/1.000.000”) and 25 being 25 times away from the perfect sphere. In reality, a 25 bearing would be more than capable in a bicycle, but maybe not so in a high RPM application such as a jet engine. 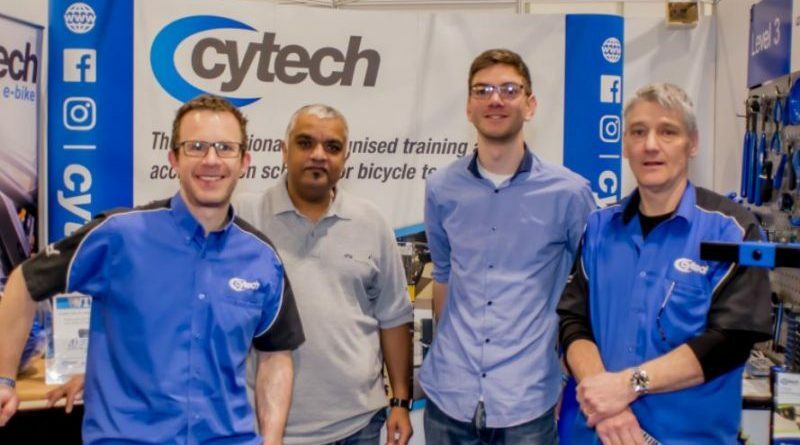 The cycling industry uses different types and grades of SCB depending on the placement of the bearing. As a basic example, a hub SCB will need to rotate 360-degrees and be subjected to side loading during cornering, so will require different attributes to say a swingarm SCB that may only rotate around 45-degrees or so, but under a higher and more focused load. 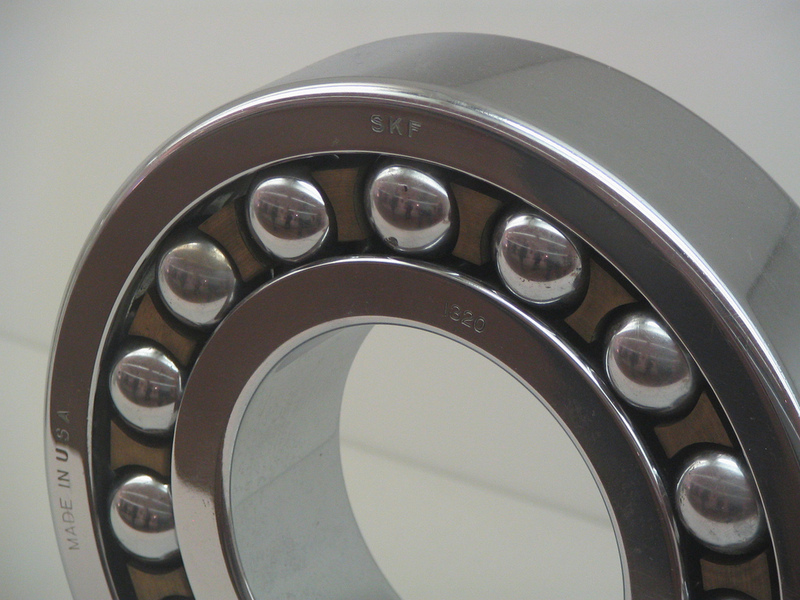 The materials that the SCB is constructed from also play a role in the bearings’ performance. Another good example of a cycle Industry specific SCB is the headset bearing which has specifically machined inner and outer chamfers to its outer raceway. The bearings will be lubricated by a grease determined suitable for the application. Marine Grease will be used in Stainless Steel bearings, whereas the high pressures encountered by an angular contact bearing will require grease able to tolerate this. In the case of full ceramic bearings, sometimes no grease, or a light oil is used. There are three main types of SCB: Radial, Angular Contact and MAX. In a Radial type SCB only three or four of the bearings make contact with the race under load, which whilst perfectly acceptable in certain applications, would be less desirable in others. A swingarm bearing would typically be the best place for a Radial type bearing due to the radial forces it is likely to encounter. In an Angular Contact Bearing all of the bearings are loaded to take the force and spread it over a larger area. This makes them much more suited to take all forms of loading, radial, axial and lateral. A hub bearing would be a good example of where an Angular Contact Bearing would be found as it is going to encounter twisting forces whilst cornering. It is important to note that an Angular Contact Bearing needs to be pressed in a specific way round to allow the bearing cage to be pre-loaded correctly (Enduro list this as the black seal facing inwards). Failure to do so could damage the bearing. A bearing where maximum support is required. The cages are omitted and this allows more bearings to be packed inside. They have up to a 40% more load capacity than standard radial bearings. They also have deeper machined grooves in the raceways to cope better with lateral forces. There are ABEC, Stainless Steel, Hybrid Ceramic and Full Ceramic grades of SCB. 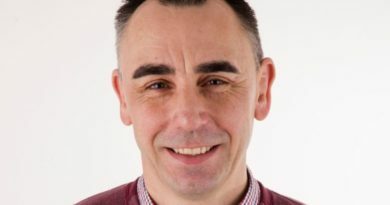 ABEC (Annular Bearing Engineers Committee) bearings have long been considered as the Gold standard in SCBs, but it’s worthwhile noting that it shouldn’t be the only criteria used to select bearings meant for specialist use. By ABEC rating only determines dimensions, tolerances, geometry and noise standards – it doesn’t take into account things like side loading, impact resistance, materials used, lubrication, ball bearing and retainer grade and type, clearances between balls and races and installation and maintenance requirements. 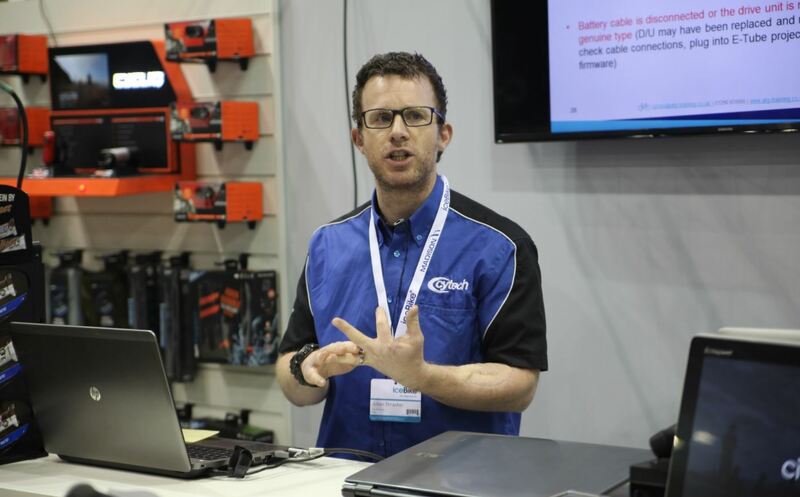 These are important considerations when it comes to design an SCB for specialist applications. Just because a bearing can spin really fast, really quietly, with really fine tolerances, it doesn’t make it the best for the task at hand. That said, an ABEC rating does at least show that the bearing has been designed with these tolerances in mind and will be of good quality compared to a non-rated bearing. ABEC bearings are graded as 1, 3, 5, 7 or 9, with an ABEC 9 meeting the most stringent of tests and tolerances. An ABEC grading of 1 is the lowest grading and 9 the highest. Typically, a grading of 3 or 5 is picked for bicycle SCBs. Material wise, an ABEC 3 graded bearing will typically have Grade 10 ball bearings in a steel ball retainer with 52100 High Carbon Chromium raceways. An ABEC 5 rated bearing will have the better rated Grade 5 ball bearings in a graphite nylon ball retainer with 52100 HCC raceways. When it comes to the speed of the bearing (RPM) both ABEC 3 and 5 bearings are capable of spinning at a much higher speed than is required for a bicycle. A quick calculation on Endless Sphere’s website shows the bearings inside a SCB of a 29” wheel would rotate at 11.6 rpm for every 1 mph, so if you were travelling at 50 mph the bearings would be rotating at 580 rpm. 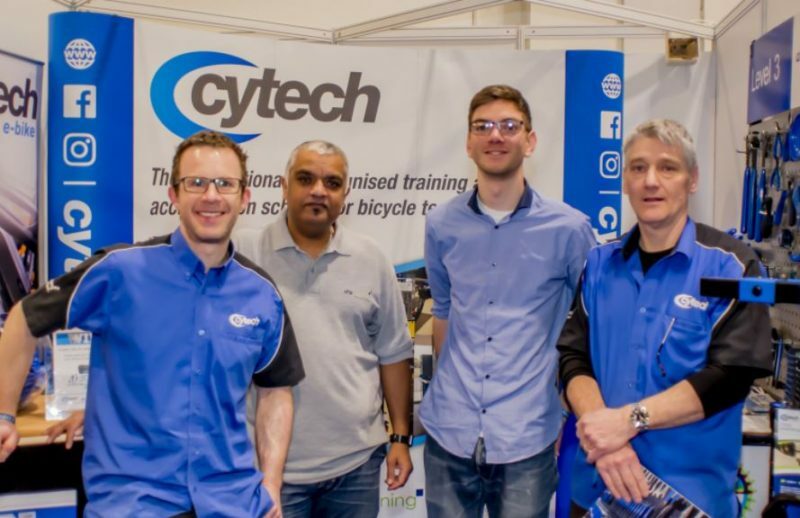 Bear in mind that a 6201 SCB will be able to rotate up to a speed of 13,636 rpm – dependent on lubricant (source: Micropoly.com) and you can see that the speed needs of the bicycle are more than met by that of the SCB. The trump card of a Stainless Steel SCB is corrosion resistance. The Stainless Steel raceways offer increased durability over the Chromium Steel used in most regular SCBs. Enduro bearings manufacture their Stainless Steel bearings to either ABEC 3 or 5 grades. This is the most common form of Ceramic SCB. It is constructed with Ceramic ball bearings, typically made using silicone nitride in either steel or HCC alloy races. The performance advantages of these Hybrid Ceramic SCBs over regular SCBs are that they are lighter, smoother, stiffer, harder, with longer life, with good tolerances and speed ability. This obviously comes at a cost and this is reflected in the price of the bearing. A Hybrid Ceramic bearing is the best bearing all round for speed, load and accuracy. The lightest (and most expensive) SCB. Airevelobearings.com list their bearings as being constructed using Zirconia Oxide Ceramic Balls with a cage constructed from PTFE, machined to the same accuracy as a precision steel bearing. This is the best SCB if your metric is weight (and money is no object). 2RS: Literally stands for 2 Rubber Seals. LLU: This is a medium to high contact seal, which has great sealing properties, but more drag than an LLB type seal. LLB: A low contact seal, doesn’t have as good a seal as an LLU, but will be less draggy, so suited to applications where speed is a factor, such as hubs or jockey wheels. MS: Metal Shield. One or more of the sides of the bearings is covered with a Metal Shield. Highly durable, but heavier than a 2RS. As you can see there is more than first meets the eye when it comes to selecting the correct SCB. This does leave us with one burning question – Why does Shimano continue to use the traditional cup and cone bearing? It seems that Shimano is not a big fan of the radial nature of SCBs and they make a good case that the humble cup and cone type bearing is in fact a very good Angular/MAX construct. 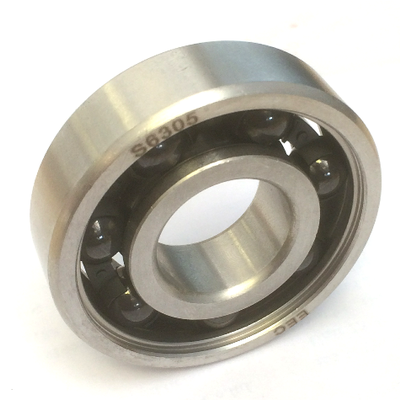 The design of a cup and cone bearing means that the bearings are supported as an Angular SCB, possibly more so. The bearings used are (mostly) non-caged and this means a greater number of bearings can be used in many ways like a MAX type SCB. Although the removal and refitting of an SCB is not too complicated, if it is to be done properly, it requires expensive tooling, whereas the tooling required to service a cup and cone bearing is much cheaper. As long as it is adjusted correctly it will run almost as smoothly as a SCB. You can even use your own choice of grease, so don’t write off the cup and cone yet. As a final note, it is possible to buy Ceramic ball bearings separately, but we’d advise against using them in traditional cup and cone assembly due to the fact that the raceways may not be rated to take the extra hard bearings. This could lead to premature wear or failure of the raceway.